Ylang ylang is a well-known essential oil that will help you relax and unwind. Although the name may sound funny to some (it’s derived from one of the native languages in the Phillipine Islands), its aroma is exquisite and sensual. Base to middle note and medium initial strength. It has a deep, rich, fresh, floral, sweet, exotic and relaxing aroma with hints of jasmine and neroli. 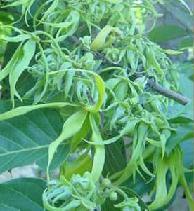 How Can You Use Ylang Ylang Essential Oil? This oil is well-known for its relaxing and aphrodisiac effects, making it a popular ingredient in massage oils. It regulates the heart, thus can help relieve high blood pressure, anxiety, palpitations, and stress.It can also help regulate your mood if you are feeling a little angry, worried or depressed. It will also help you fall asleep if you have a little too much on your mind. Add 3 drops of this essential oil to your bath water for a relaxing and aphrodisiac bath. DO NOT apply this essential oil directly to the skin without first being diluted in a carrier oil. An estimate of 5 drops of essential oil per 2 to 3 tablespoons of carrier oil is suggested. Where Can You Buy This Aromatherapy Oil? Ylang ylang essential oil normally comes in 1/8, 1/4 or 1/2 oz bottles and can be found in major drugstores and specialized aromatherapy retail stores. IMPORTANT SAFETY NOTE: Use this essential oil sparingly and with caution. Some people may be sensitive to it. Excessive use of this oil could result in headaches and nausea. Do not take any oils internally or treat children with oils without consultation from a qualified professional aromatherapy practitioner.